I've always been a fan of neutral colors. I prefer wearing more than any other colors. But when I need a pop of bright color, I go with the combo "RED, WHITE and BLUE". 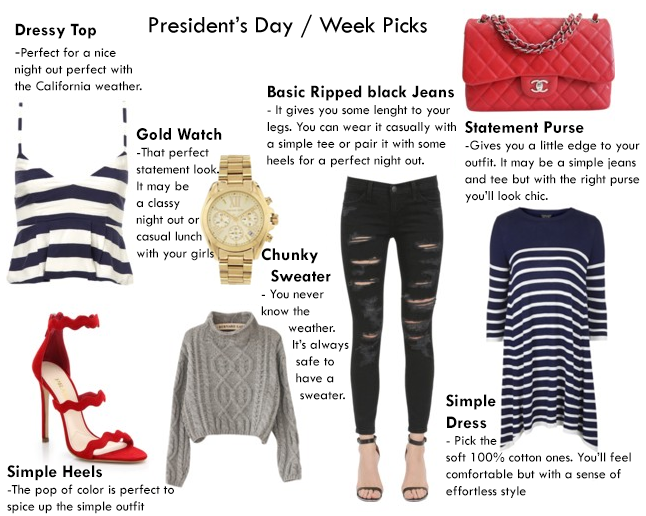 The patriotic look can be coordinated with a few special occasions just like President's day or 4th of July. I like being about to dress up for those occasions yet be fashionably chic at the same time. In some other circumstances when I just feel like today is a "RED, WHITE and BLUE" day, then I go for it. Especially now that we've been feeling the warm sun the past few days. These colors are also perfect for the warmer season.